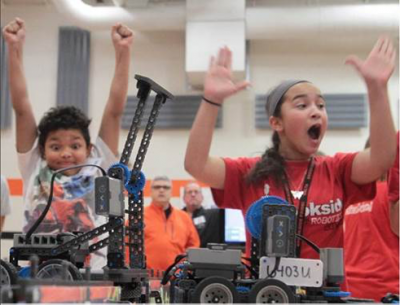 Delaware VEX Robotics connects students, mentors, and schools in the communit successful and engaging technology-based programs, with support from the Robotics Education and Competition Foundation. 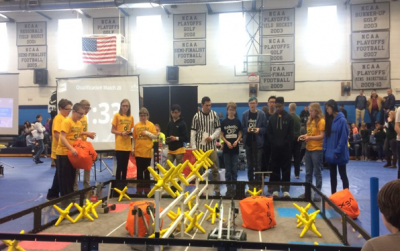 Delaware Vex Robotics is committed to promoting engineering and technology focused opportunities to advance professional and technical skills of students. Currently, both the VEX EDR and VEX IQ platforms are used throughout the state to educate students in STEM and Robotics. Our programs range from third grade through twelfth grade, and we strive to prepare our students for STEM related careers and pathways. If you are interested in starting a program, or in helping mentor a program, contact a member of the Executive Management Team for more information. Are you interested in starting a team? VEX Grants are available at http://robotevents.com. You must create an account to complete the application. The grant is focused towards schools looking to start a new program. It’s quite beneficial, and a good place to start! To register for events please visit http://robotevents.com. Each team is required to register through the Robot Event website. The cost is $150 for the first team, and $100 for any additional teams at your school.